After a night in Hakone Yumoto we headed back to Tokyo on a misty and overcast Tuesday morning for two final days in Japan. Switching hotels from our comfy little place in Ueno, we went upper end and stayed at the swanky Park Hotel in Shiodome. This hotel, which I initially confused with the Park Hyatt Hotel of “Lost in Translation” fame, is still very nice and a very good value. 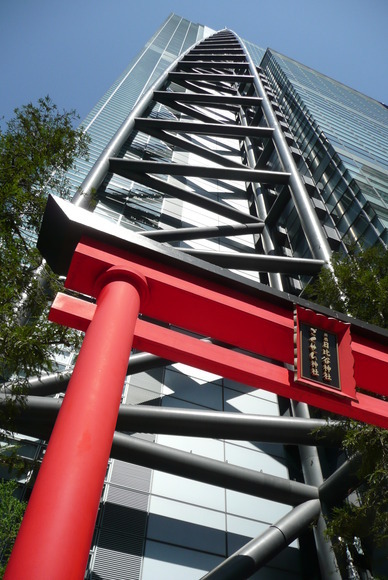 Located on the 25th-33rd floors of the Shiodome Media Tower (with the lobby on the 25th floor!) this new hotel is centrally located to four subway/rail lines. Rooms are modern and well-equipped and the staff is exceptionally attentive. The upside/downside of this hotel’s location is that Shiodome is kind of like Century City in Los Angeles: largely a complex of business towers, a glass and steel wasteland that is deserted at night. It is at once well connected to the city and cut off from it. 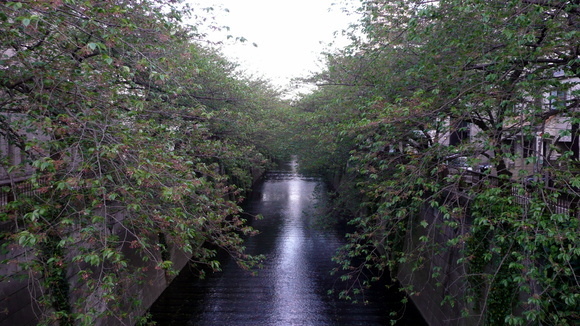 Not far from this concrete netherland we did find signs of nature: the landscaped grounds of what is considered one of the world’s finest daily newspapers, the Asahi Shimbun. 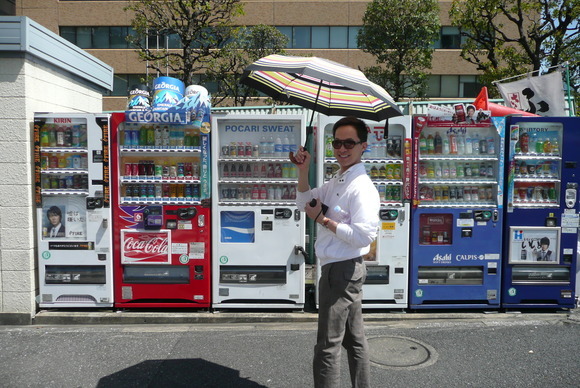 Along our way we found more of the ubiquitous vending machines. 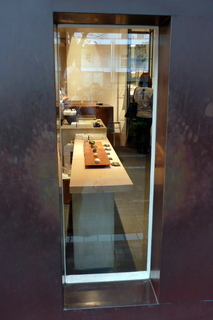 Water, water all around and not a drop to drink… if you don’t have a 100-yen coin. 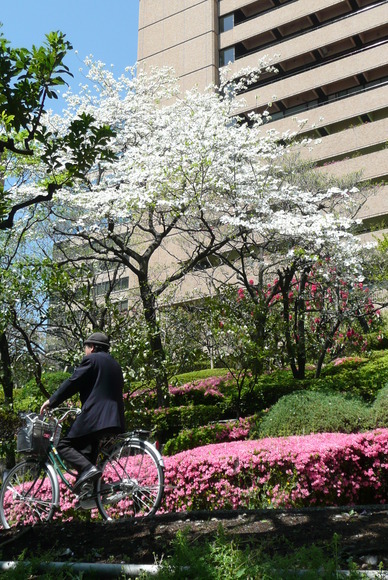 One of our stops was the Tokyo Metropolitan Government complex in Shinjuku West. The pair of buildings at the center of the complex house two free observation decks: one of each tower’s 45th floor. 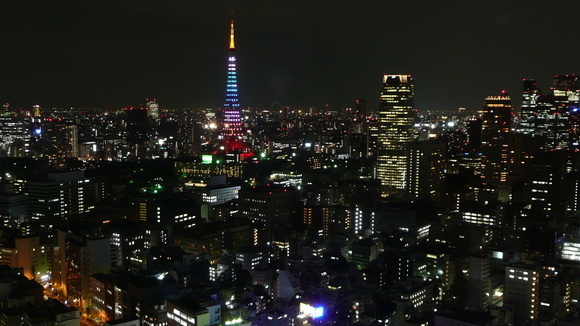 The view is wonderful and Tokyo stretches as far as the eye can see. They say that on exceptionally clear days, you can see Mt. Fuji. Today, though, all we could see is this funny egg-shaped building. It took me a while to find out what building this is, but the internet is a wonderful tool. 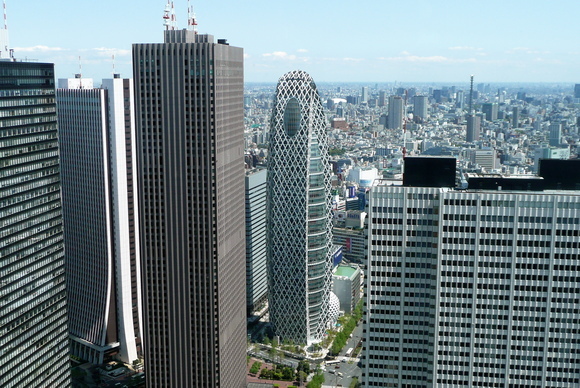 Thanks to Emporis.com, an international commercial real estate database that is accessible to the public, I located the so-called “Mode Gakuen Cocoon Tower”. This 50-story educational building houses three different vocational schools and was selected by Emporis as the 2008 Skyscraper of the Year. More info here. 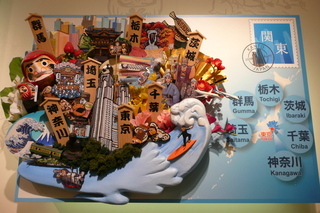 On the ground floor of the Tokyo Metropolitan Government towers is an excellent tourism office that provides all sorts of useful, free information about greater Tokyo. One thing they offer (for which you are well-advised to sign up for in advance) is free tours in English. 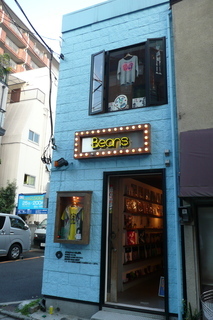 Something I will do differently on my next trip to Tokyo: stop here on day one. 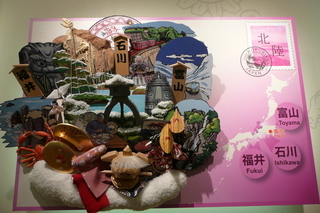 There is also an office providing information about the other prefectures of Japan. Although much of the information is in Japanese, some English language materials are available. 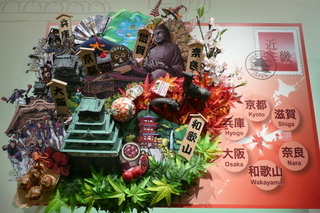 There are some fantastic three-dimensional wall displays showing the highlights of various regions. They looked like the hats from Beach Blanket Babylon. 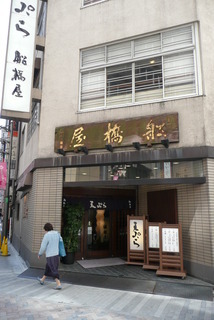 For lunch, we tracked down Funabashiya, a famous tempura restaurant in East Shinjuku recommended by a friend, Masakazu. 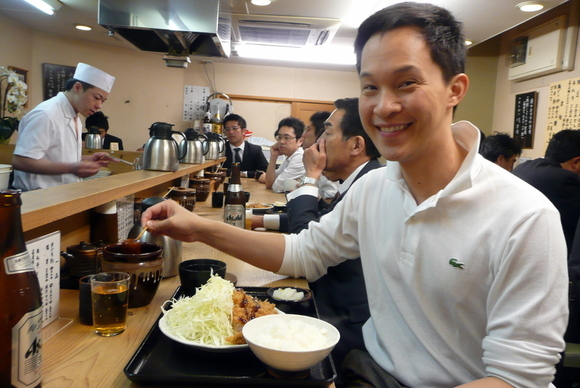 Dinners run around $50 here but like most restaurants in Tokyo, lunch is a much better deal. 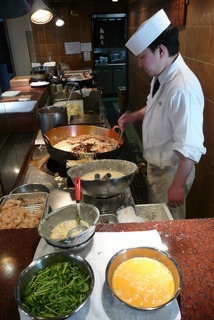 This restaurant is about only one thing, tempura, and they do it incredibly well. They’ve been around for years and their lunch special – about $10 – was a set of two batches of tempura with rice, soup and pickles. The second batch of tempura was a surprise. After receiving a generous serving of light, crispy vegetables and shrimp fresh from the wok, we were already satisfied. Then the waitress returned a few minutes later with a second serving! 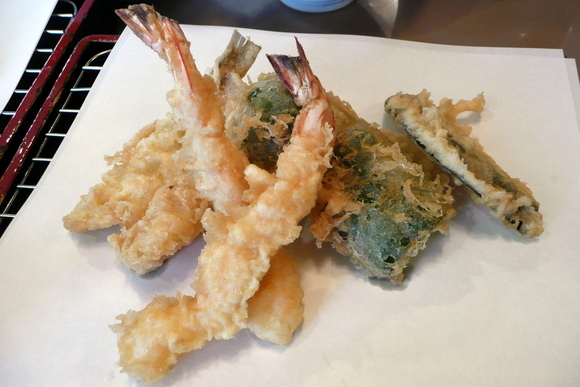 It is hard to describe how perfectly cooked this tempura was. Very light batter and not a bit of grease. There were three types of sea salt to sprinkle on the tempura, including a red salt with lots of minerals and a pepper-salt mixture. After lunch we did a little more shopping in Shinjuku, including a stop at Tokyu Hands, an eight-story crafts/hardware/home improvement/DIY store in which you can definitely find at least one thing you never knew you needed. 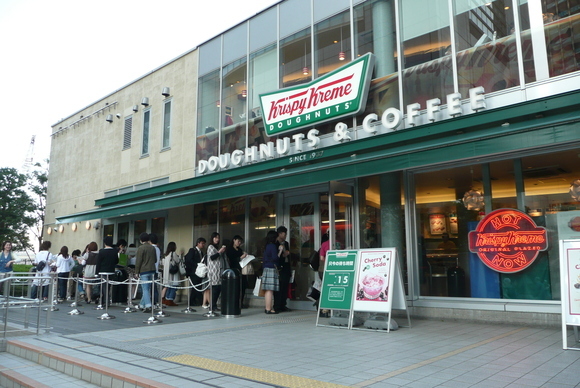 On the way back to the rail station we passed something surprising: a large Krispy Kreme donuts outlet. Fellow Xangan Tony took a picture of this on a recent trip to Tokyo but I was surprised to see it in person, and even more surprised by the number of people queued outside at 3:30 in the afternoon! Nearing rush hour, we hopped on a train, connected at Shibuya and traveled two stops further to a hidden gem that isn’t on the tourist guidebooks’ radar screen, yet: Naka-Meguro. Everyone wants to find that little hidden corner of a city, one they enjoy because it is hip and cool but not yet discovered. 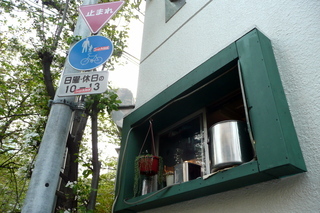 Of course, by the time you find out about it, the secret is already out and Naka-Meguro is no exception. 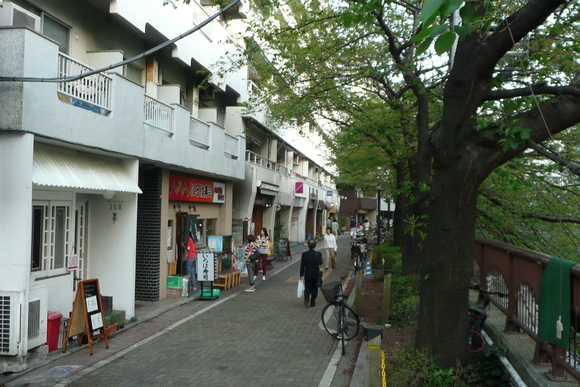 Recently dubbed “the coolest corner of Tokyo” and profiled in the NY Times travel section, Naka-Meguro is a collection of cafes, boutiques and bookstores that runs along an idyllic, tree-lined river. Sure, gentrification is quickly happening and this area, which has never been inexpensive, is getting pricier by the week. 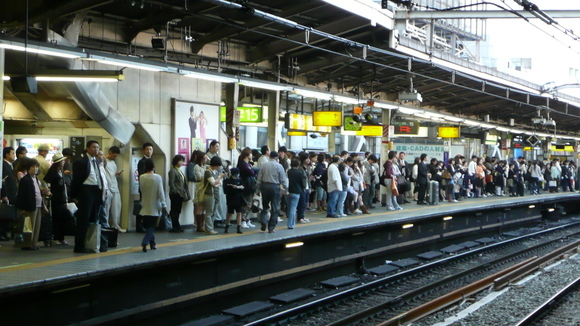 But it is still a cool and relatively quiet area and, given that it is just two stops from Shibuya – home of the intersection that sees two million people a day pass through it – it is amazing that it exists at all. I’d definitely recommend you spend a few hours in the afternoon here, spilling into dinnertime if at all possible. 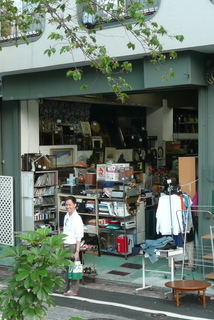 Left to right: clothing and other fun items recalling Blackploitation and the 70s; Tawn in front of something a hair hipper than a Goodwill Store; a uber-modern Japanese sweets shop. 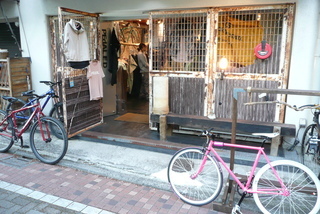 Left: Another clothing store with a vaguely “rust belt” look; a stock pot cools on the windowsill of a restaurant specializing in squid. Sadly, evening was falling fast, Tawn was feeling a bit exhausted from all our running around, and we had a 3:45 am appointment the next day, so we excused ourselves from Taro, Mark and HP’s company and headed back to Shiodome, stopping at a tiny hole-in-the-wall tonkatsu place at the JR Shimbashi station and unwittingly finding the best tonkatsu we had in Tokyo! This tiny place was full of salarymen – the typical Japanese office workers – and there was nothing in English except for the Asahi beer bottle label. We pointed to one thing on the menu (after all, everything there was a form of tonkatsu so how wrong could we get?) and ordered two plates of it. What arrived was beautiful in its simplicity. 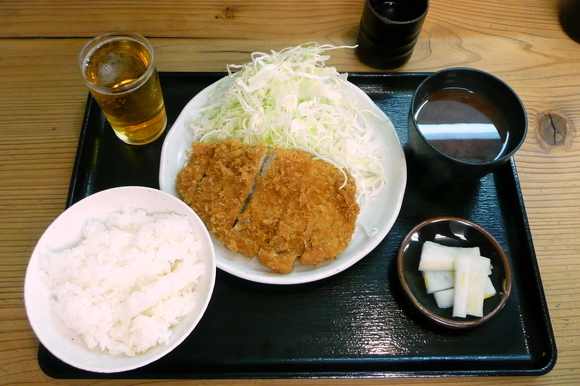 The chef cooked and drained cutlets of pork loin, each with a small strip of fat along one side and served with shredded cabbage, rice, pickled daikon radish, and miso soup with baby clams. The setting was pretty plain and the plating was that of a blue plate special, but the tonkatsu was divine: moist and flavorful interior with a crisp, dry exterior. Perfection. We were in bed by 10:00, trying to catch a few winks before a very early morning on our final day in Tokyo. 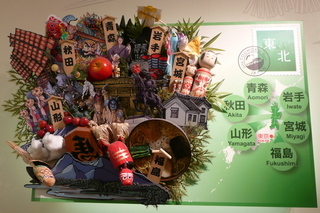 This entry was posted in Uncategorized and tagged cuisine, culture, food, Japan, Tokyo, travel by christao408. Bookmark the permalink. I would love to visit Japan just for the architecture. They have some of the coolest buildings. The egg shaped building is pretty awesome. All the food looks good. It’s been a while since I was in Japan, but I’m sure I didn’t visit some of the places you mentioned (went on a guided tour). Soo funny about the Krispy Kremes! wow Chris this was a wonderful trip to Japan. Thank you for taking your readers on this trip. I absolutely loved your entire Japan series. Now add one more to your career alternative- travel writer! What a view! (thanks to the reference for that site too, I’ve bookmarked it) You know, you really should get into travel journalism. Seriously. That tempura looks so sinfully good. Such a cute little corner in the city!! Tawn is as dapper and preppy as always! Love the video in your earlier post!